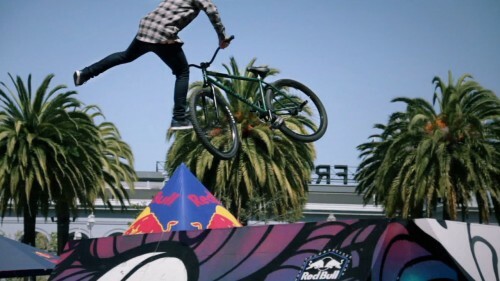 Steven Jensen, Jaoa Danaikrit, and Dew Sippawit were all throwing tailwhips at the 2013 Red Bull Ride + Style. Jensen has those ninja kick whips down nice like, it’s a wonder how he’s able to do them on flat. The thai dudes killed it and brought some unique tricks to the table, whips and nose manuals being just a few of them. Check out the photo below of Jaoa doing one on the big box.